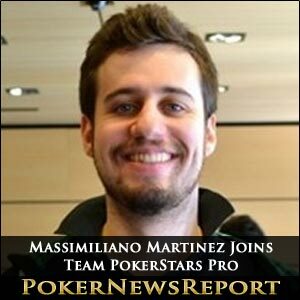 Italian Massimiliano ‘Max’ Martinez has been revealed as the latest recruit to Team PokerStars Pro – joining the likes of Daniel Negreanu, Barry Greenstein, Vanessa Rousso and Bertrand ‘ElkY’ Grospellier. The Rome-based medical student might already be familiar to many of you poker fans out there after his recent exploits in season two of high stakes television show The PokerStars Big Game, where he ended the series as the leading ‘Loose Cannon’ after successfully competing against players such as Phil Hellmuth, Phil ‘The Unabomber’ Laak, Grospellier, Dario Minieri and Bill Perkins during week four. While many of the ‘Loose Cannons’ are not particularly experienced, the same cannot be said of Martinez, who has already accumulated $344,079 in live tournament earnings in his short career. 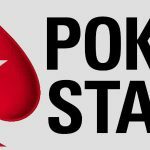 The Italian will almost certainly be a good addition to the Team PokerStars Pro line-up after having already won $100,568 for taking down the €3,200 buy-in No-Limit Hold’em IPT (Italian Poker Tour) Pro League side event as part of the European Poker Tour (EPT) San Remo stop last May. 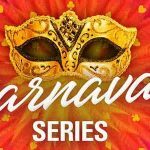 But his run of positive results don’t stop there, with Martinez also having recorded four in-the-money finishes at last summer’s World Series of Poker (WSOP) – the best of which, in cash terms, was a 110th place in the $10,000 buy-in World Championship No-Limit Hold’em event for $54,851 at the Rio All-Suite Hotel & Casino in Las Vegas. He also just missed out on making his first WSOP final table when hitting the rail in 10th place, for $52,431, in the $5,000 buy-in No-Limit Hold’em Six-Handed event during the 42nd staging of the series. Martinez – who has been playing online for five years now – reckons his greatest asset is his ability to remain calm during games, although he did admit that he also sometimes plays too loosely. 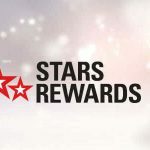 PokerNews reporter Sarah Grant spoke to Martinez during the EPT Campione this week about his deal with PokerStars, with the Italian saying that he felt compelled to sign up with the poker website that will see him represent PokerStars at events throughout the world and online.